Our church meets regularly on the south side of South Bend, but our members and attenders live, work, and interact in many neighborhoods across northwest Indiana and southwest Michigan. 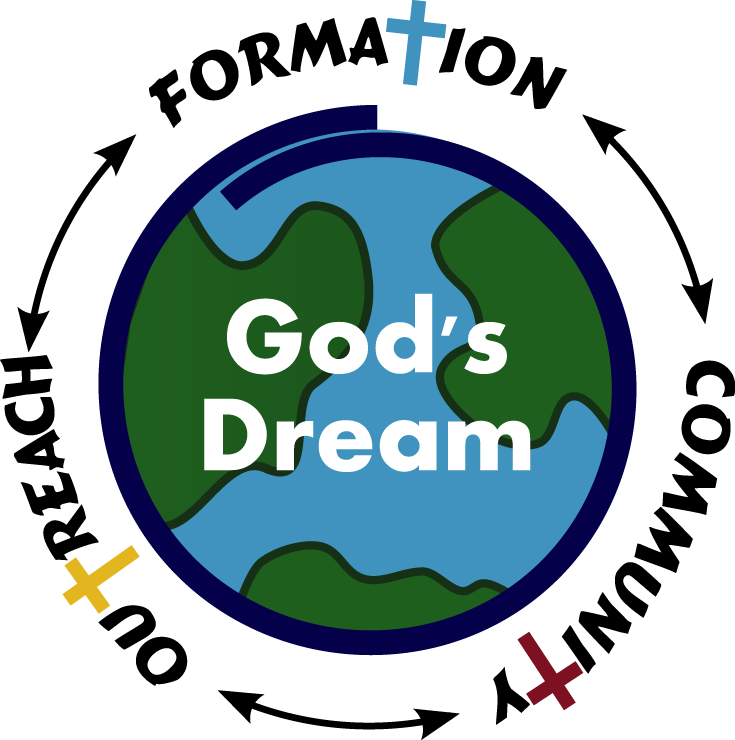 We are a regional community of Anabaptist Christian believers who gather regularly for Christian worship, formation, community, and outreach as we seek to live God's dream for the world in our everyday lives and relationships. Kern Road Mennonite is a member congregation of Mennonite Church USA. Though we share an Anabaptist Christian identity with more conservative Mennonites and Amish who wear plain clothes, Kern Road attenders come from diverse faith experiences, backgrounds, and cultures. We are confident, once you experience our authentic community and down-to-earth, relevant worship services and teaching, you'll consider joining us as well. You might even consider becoming one of us! We believe you, too, are part of God's dream. We’d love to get to know you better. We invite you to join us on the journey. Expecting the power of the Holy Spirit to guide and direct our lives. Participate together in biblically-focused and celebrative worship centered on thanks to God and the life and teachings of Jesus Christ. Invite friends to the joy, commitment, challenges, and spiritual growth that come through following Christ in life. Seek peace with justice actively in all our relationships: in our homes, communities, and world, especially where there is conflict. Give generously of our time, gifts, money, and physical resources in service and in witness as a response to God’s love, generosity, and goodness. Welcome and celebrate the gathering of God’s diverse people in our church and community (intercultural, intergenerational, and interchurch). Nurture authentic relationships with God and one another in Christian community so that we might stretch and grow in Christ individually and collectively. Organize our community life through stable, yet flexible, structures that enhance and empower God’s people to learn, love, and live God’s dream for the world. Indiana-Michigan Mennonite Conference – An area conference covering Indiana, Michigan, Kentucky, and Tennessee, this denominational group is made up of over 80 congregations. As part of this conference, we relate in a special way with 6 other congregations in our region. Mennonite Church (MC) USA – We are one congregation connected to about 900 others within 21 area conferences, with over 100,000 members across the United States. Mennonite World Conference – Connects MC USA to 95 other Mennonite and Brethren in Christ Churches from 52 countries on six continents. The world total is now almost 1.3 million members, with Africa being the leader in numbers of Mennonites worldwide.